March comes in like a lion and out like a lamb... and our March came in with Crane and Lion... with a full dose fun and action. The first week of March really kicked off with a bang in Boston with numerous events from a variety of charitable organizations across the city, and Ms Fit For society was so honored and grateful to be included in such a fun week filled with fitness, fashion, friends and a lot of important fundraising with one of our favorite fitness brands, Crane & Lion. It really was a non-stop week for us. Our heads are still spinning from all the inspiration. We always say, "we get inspiration everywhere"... and this week it was on turbo drive. It came roaring at us in the form of incredible fitness, high school kids, on the runway, people who have overcome so much, people with unique gifts and talents, amazing people who dedicate so much of their time to helping others, women with so much motivation you can’t wait to see what they will do next, and of course rocking fashion! The week began with us co-hosting a fabulous evening of Fitness and Fashion with Pilates with Purpose. Pilates with Purpose: Move, Give, Connect was c0-founded by Hanneke Antonelli, award wining Pilates instructor and with local Boston attorney, Kristen Scanlon. These two fabulous and fit ladies create monthly unique and fun networking opportunities for women to connect, get fit, and raise money all at the same time. We were so thrilled when they asked us to collaborate with them for their March's networking event. Jessica and Hanneke shared the get-fit part of the evening, each teaching Barre and Fitness to a great group of ladies. We had a blast raising money for Tedy's Team and the American Stroke Association. 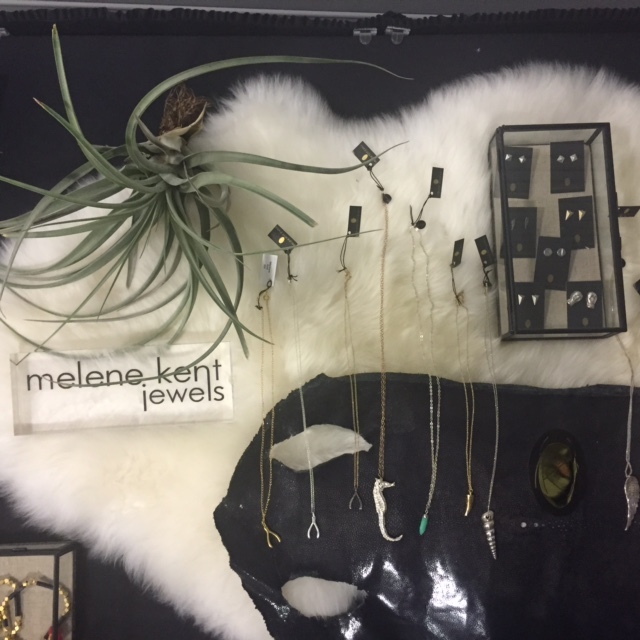 True to Ms Fit style, we also had one of our favorite fitness and jewelry brands, Crane&Lion and Melene Kent Jewels to add a little shopping to the evening. 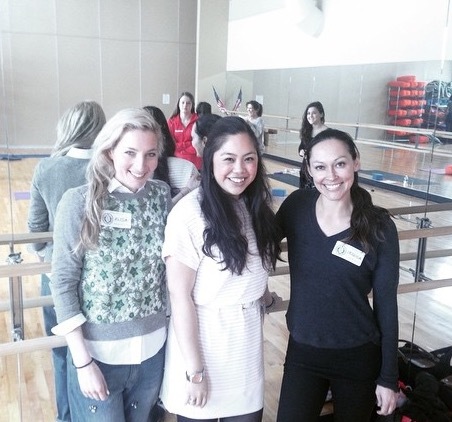 Pilates With Purpose Co-founders, Kristen Scanlon and Hanneke Antonelli. Thank you ladies for a fun, sweaty time! This really was something special we never imagined we would be doing... giving a Fitness and Fashion presentation to a room full of high school girls. Alisa started the presentation with a speech about how she got into fashion, on being a stylist and some of her key fashion tips for young ladies, like: what's written on a label, whether it's the number or name, is not the most important thing (mix high fashion with low), that fashion is what's put on the runway, but style is what pieces you make your own, and that confidence is the most important fashion trend. Then, Jessica gave an overview about Barre workouts and lead the girls through a mini-barre class in their state of the art studio. It was a blast and loved hearing all the great questions the girls had to ask. Class dismissed! With Wellesley High History teacher, Alice Liao. 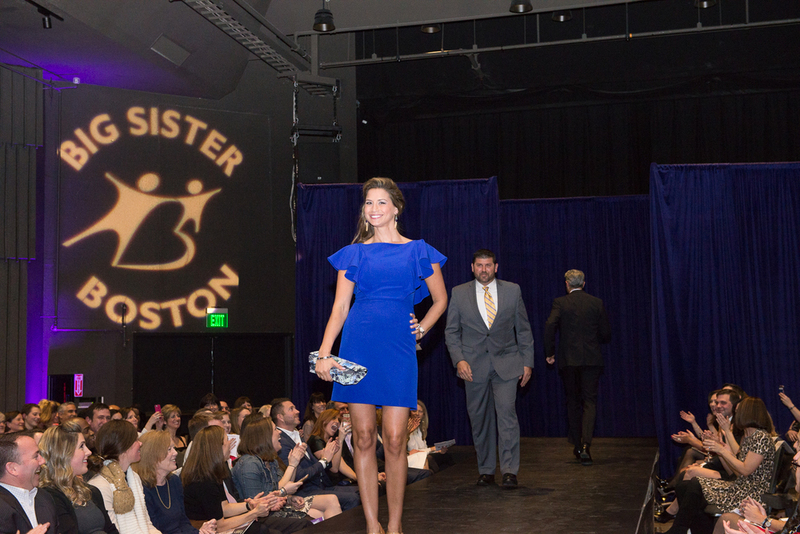 From our trip back to high school, it was on to Safar Salon to get primped and ready for our next event, the Big Sister Fashion Show, which helps raise money for the Big Sister Foundation,and this year, we had the great honor of walking in the show! What was going on at the actual cocktail hour before the show, we don't know, but what was happening behind the scenes was beyond fun! The eclectic group of Boston's best gathered with drinks, music, clothes everywhere and most importantly with high energy to get ready to strut our stuff! There was the amazing Omid Maxey, hair stylist and fashion show extraordinaire; Nelly Carreno, meteorologist at NECN; Bianca de la Garza, Boston's brightest late night tv host; Shannon Pastuszak, of Niche Media with husband Alex; Lisa Pierpont of Boston Common Magazine; Boston Red Sox great, Jason Varitek with his beautiful wife Catherine; Boston Maven Tonya Mezrich with husband, author, Ben Mezrich; and former US Senator, Scott Brown and his gorgeous wife, Gail Huff, just to name a few. 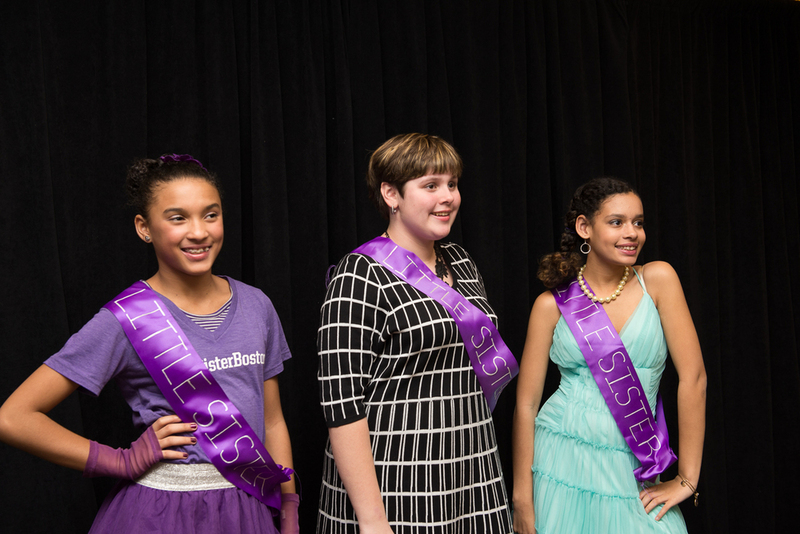 But the stars of the show were, of course, the three young beautiful ladies and their Big Sisters dressed to the nines. 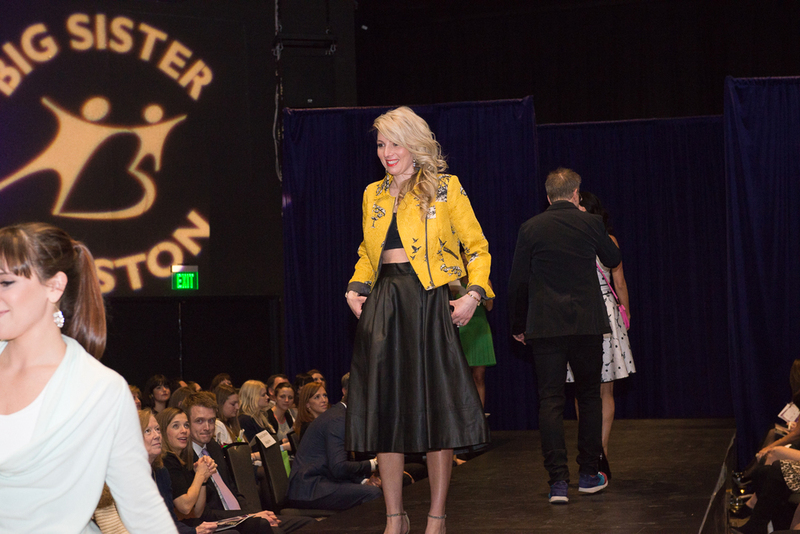 With Boston's favorite, Jenny Johnson at the helm, the show was a blast showcasing fashions from Bloomingdale's, and the Ms Fit girls showing off their Crane and Lion fitness and street style combo... and by the end of the night, the event raised over $160,000! We are beyond honored and thrilled to have been a part of such an important organization in Boston! 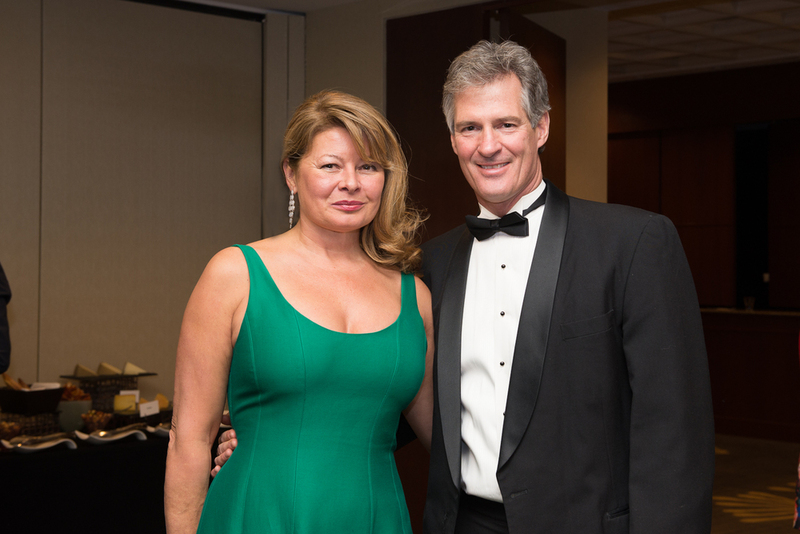 Tonya and Ben Mezrich having a ball! Thanks for a great show everyone! From one fashion show to the next, our following afternoon was spent with the chicest of ladies and with the hostess to beat all hostesses, Ashley Bernon, who, along with Vogue Magazine and Neiman Marcus hosted a luncheon and white hot Donna Karan Fashion Show to raise money for Boston Children's Hospital. 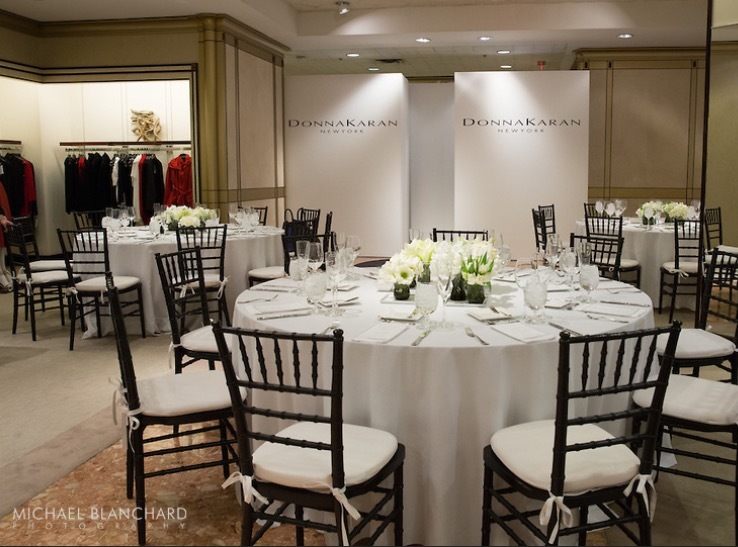 Elegantly decorated tables of white florals (my absolute favorite), beautifully dressed women chatting about the prospects of warmer spring weather and fashion, and of course the models, strutting between us all showing the fun spring collection from Donna Karan. We absolutely loved being a part of such a close-knit fashion-loving group of women who help support one and other and their good friend Ashley and all the philanthropy she is a part of, on what seems to be daily basis. Bravo! We are so proud of all the amazing philanthropy you do for our city! *Thank you Michael Blanchard for all of your beautiful photos from this event! 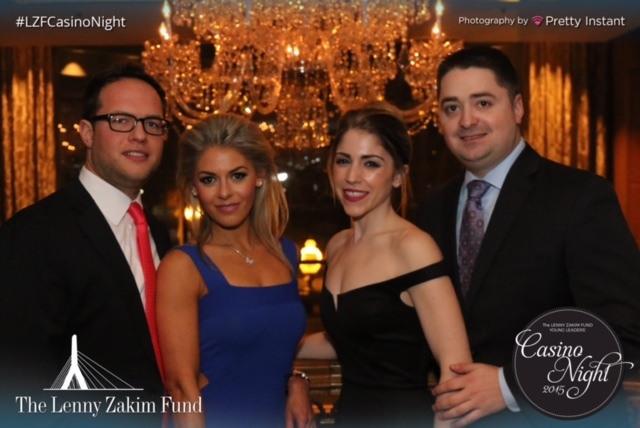 Two nights later we ran to our go-to glam squad at Blo to spruce up our hair, made our families dinner, put our kids to sleep, and it was off to another amazing fundraiser event, the annual Casino Night to benefit The Lenny Zakim Fund. A ballroom filled with beautifully dressed party-goers, casino games at every angle, auction items that you can't even dream of, finger-licking good food (we used napkins), and all of our good friends, this event is always such a blast but most importantly, raises money to help fund and support grassroots organizations. As always, thank you to Josh Zakim and Sam and Jessica Slater for all the work you do for this great organization and for such a fun night! Yes, we gambled. Jessica's beginner's luck! Our whirlwind week ended with a Fit-Fashion Event at Bloomingdale's to showcase their newly revamped fitness fashion and shoe collections. With fashion retailers picking up fitness lines like hot cakes, it's no wonder that one of our favorite shopping locales wanted in on the fun too! 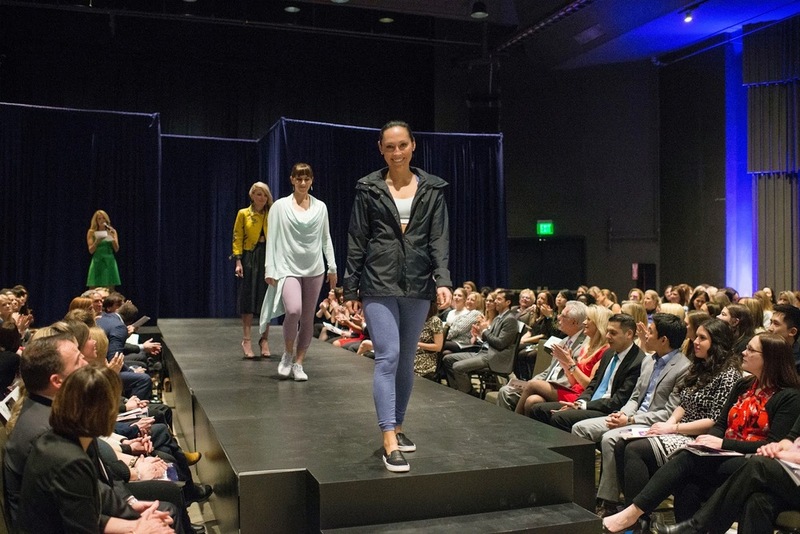 Bloomingdale's invited us to host a fashion show with a few of Boston's favorite fitness instructors walking the runway in all of their fitness glory. We absolutely love seeing how this trend has changed the face of fashion... What was once fashion dictating our lifestyle, it has now turned into lifestyle dictating fashion trends. We see so many women taking their fitness wear from the gym and transforming it into street style to simplify their every day life and we think this trend won't be running out of here anytime soon. Spring is almost here and Bloomingdale's really has amazing threads not only for fitness but for dress up and work too... And we're obsessed with their shoe department, so don't forget to check that out as well! Our very own poster at Bloomie's! Let's see what the spring brings for us Ms Fits!